Long after the Earthquake that bring Haiti to stand still. Long after the politician, celebrity and opportunist leave. Children from different village and all four corner of the Island still feeling the effect of the damage. In a recent trip to Haiti with Fleur De Vie a 7-day 6- night trip that was fun, exciting, and rewarding! Include site seeing of places in Haiti the international media never show. The one full recreational day of this event focuses on teaching children the importance of education and its bearing on their future, raising health care awareness, and promoting wellness. According to Co-founder of Fleur De Vie Jenny Batist “Everyone always thinks of Haiti as a country of need… and even though it still needs help, what I see each time I go is a country and people full of such potential and desire that it becomes inspiring in my own personal life. 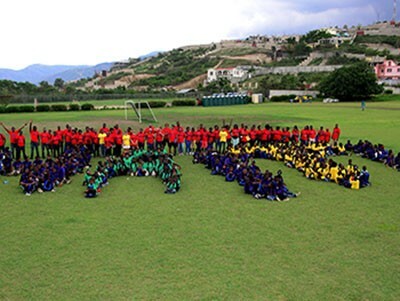 That’s Haiti!” And Among those who take the trip to Haiti was FDV was board member and volunteer Patricia Jean. “Volunteering with Fleur de Vie in Haiti has allowed me to participate in giving back to the community on a grand scale, much larger than any form of giving I had done previously in Haiti. Haitian children really are the future of the country, and to see the smiles and hear the laughter of children just being children during the day of recreation, makes me want to return again and again.” The event is a partnership with local schools in Haiti to organize a gathering for 700 children in the Port Au Prince area. The program was filled with fun and exciting activities. Volunteer Glorimar Negron quoted saying “Despite the struggles facing the country, my experience showed me the beauty and the innocence of the children and the power of giving. No matter how small, no matter the language barriers, we are all human beings and to lift one spirit, to put a smile on one person’s face can change a generation. In giving we all receive.” Co-Founder of FDV Dayanne Danier still sees a need for FDV in the country five years after the earthquake “There has definitely been some progress in Haiti. At the same time, there are still issues in major areas, like education, which existed prior to the earthquake. Fundraise for this can be a challenge because not only are donors giving less as the years go by but the history of accountability for funds for Haiti are not great. 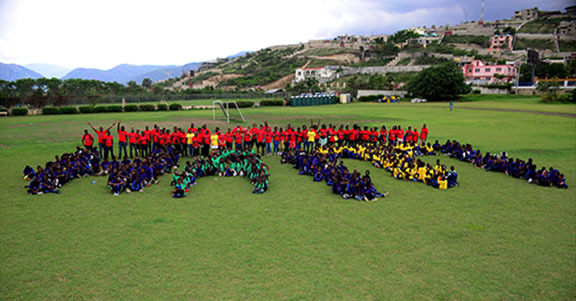 For that reason, Fleur De Vie is committed to staying focused on helping the community with education, a vital element for their future.” This is one of many events and giving back Fleur De Vie do each year to showcase education and wellness among the future generation of Haiti. As for me I learn Haiti is fragile, like a Camel back taking on one more straw over and over but, still endure. For paradise is without a price and Haiti is paying the ultimate priced right now but, enduring.